I'm Angie Diefenbach. 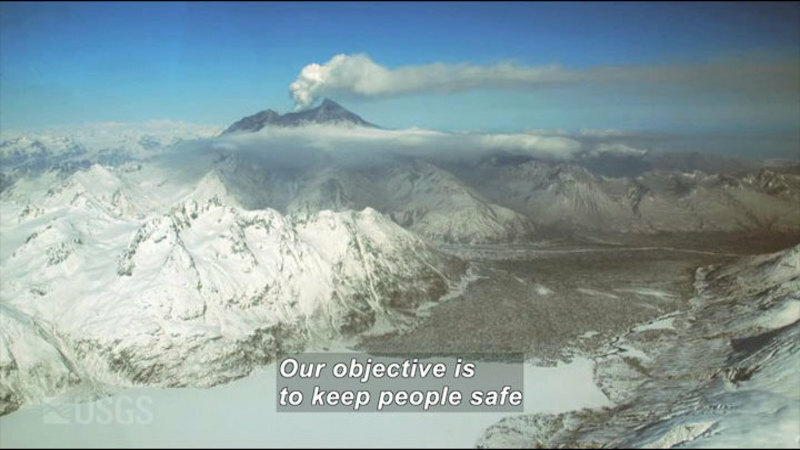 I'm a geologist with the USGS Cascades Volcano Observatory. 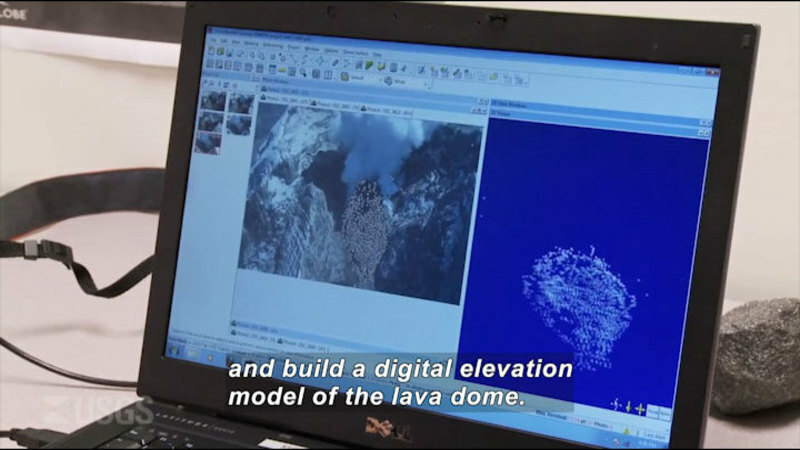 I use various geospatial data sets and GIS, geographic information systems software, to study volcanic eruptions and their impacts on society. 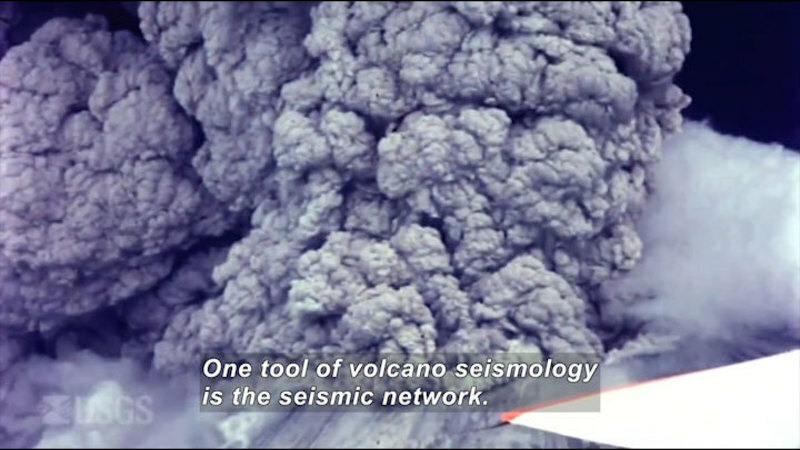 The U.S. and its territories are home to about 170 active volcanos, which means that millions are at risk from volcanic hazards. 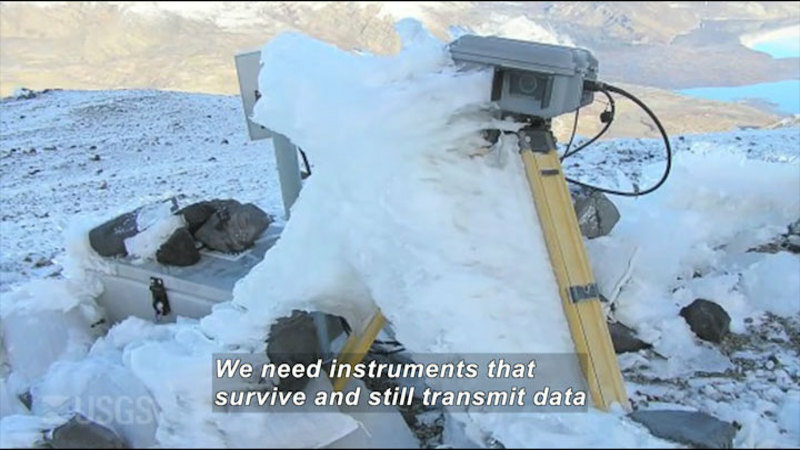 Traditionally, as geologists, we have looked at the physical base hazards of volcanos by mapping where previous hazards have gone. Now we're looking at the societal impacts by analyzing those hazard zones. I take hazardous estimates produced by the USGS and the hazard zones and put them into a GIS and basically just a mapping program. I overlay these boundaries on top of all this data and see what communities intersect these hazard boundaries. 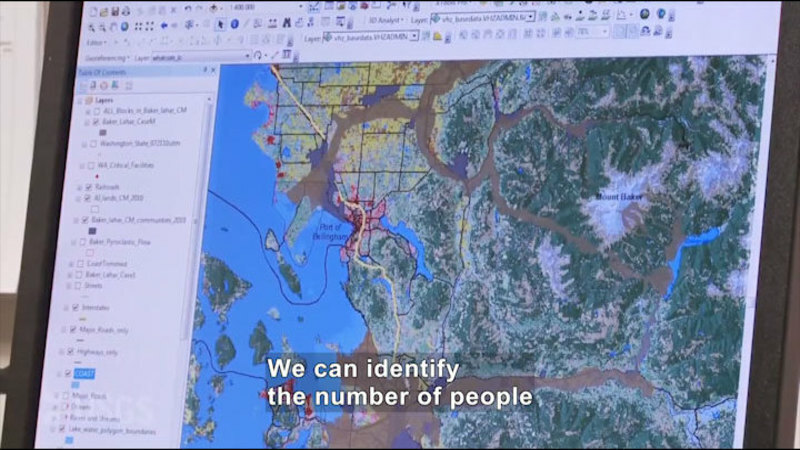 We can identify the number of people where police stations are-- hospitals, fire stations, infrastructures such as major roads, pipelines, railroads, different transportation networks, business data--employees and the sales volume, which will help us better assess the economic impact of the next eruption. Knowing the number and distribution of societal assets within hazard zones will help officials better prepare response strategies, and it will help communities prepare for and recover from future volcanic eruptions. 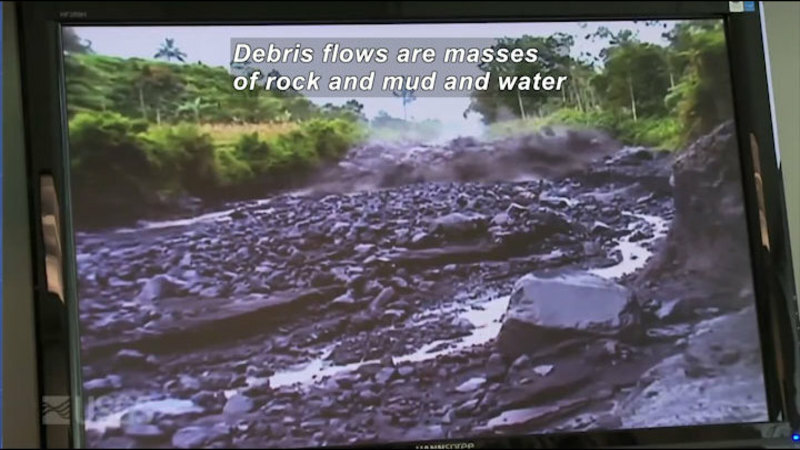 United States Geological Survey geologist, Angie Diefenbach, describes how she uses GIS (Geographic Information Systems) software to study volcanic erupts and their impacts on society.